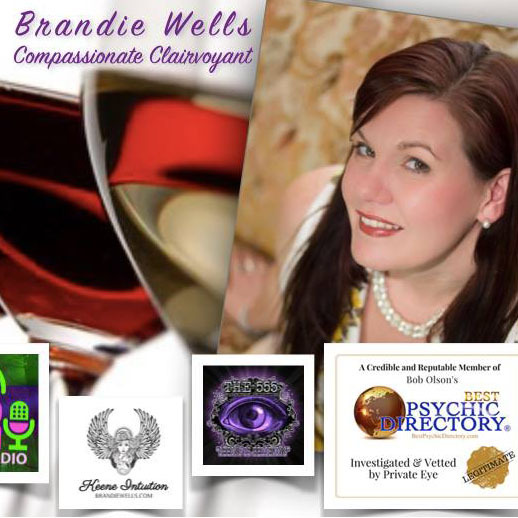 This is a beautiful Opportunity to enjoy the beautiful Seven Birches Winery and gain insight from Brandie Wells, Compassionate Clairvoyant.Evening Includes: Wine Tasting, Spirit Circle with messages from Past Loved ones, Angels, Spirit guides and beyond with Brandie Wells. You may also purchase Wine by the glass & Bottles of wine at a 15% discount this evening only! Seven Birches Winery, located within the grand new Riverwalk Resort at Loon Mountain is hand-crafting classic European grape varietals and locally sourced fruits into wines of distinction. Tipping to Winery staff Appreciated. What to expect in the Spirit Circle: Brandie is a clairvoyant and works in many realms with many abilities. The circle will gather, everyone will be grounded, cleared and brought to a sacred space. After one hour of what “naturally comes in”, everyone will break. Upon return, for the last hour, there is a time of “calling out” where guests have an opportunity to state a name or ask for psychic messaging to light the way of the now moving into the future. Brandie is a former host of International radio network, ASK1Radio.com and was recently on set for a new series which will air on Travel Channel in Fall 2019. In addition, Brandie is a paranormal Investigator, Angelic healer, Tesla Metamorphosis® Energy Healer and Event planner. “Healing your past & revealing your future” is her mantra as she performs Time Link© Readings; an eccentric style of connecting to the spirit realm called Automatic writing. Brandie is a divine channeler who is a true conduit between the earth realm and the divine realms bringing messages she calls: “Psychic Downloads” from past loved ones, ancestors, deities, guardian angels, spirit guides and pets. She brings messages to light the way through clairvoyant wisdom, medical intuition, mediumship and intuitive communication. No guarantee everyone will receive a message.